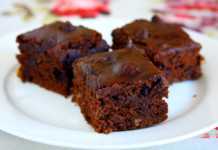 Applesauce Brownies: Last week I went on a baking spree and baked few treats to take along with me to meet some of my family and friends. 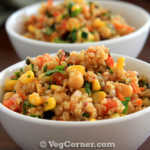 I wanted the treats to be a crowd pleaser but also have some healthy alternatives. I was going through an endless list of bookmarked recipes and finally narrowed down to 3 new recipes. I decided to bake a huge batch of applesauce brownies without eggs (because I had an opened bottle of unsweetened applesauce and wanted to finish it off otherwise it gets spoiled even when stored in the refrigerator), vegan chocolate chip cookies, and eggless apple oat bran muffins. 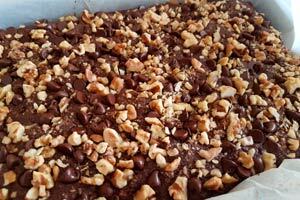 Today I’m going to share with you all the recipe for fudgy applesauce brownies. The remaining two recipes to follow shortly. 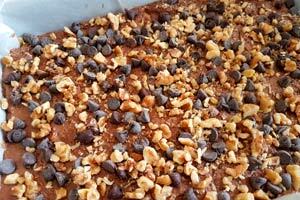 As some of you might recollect, I already have a vegan applesauce brownies recipe here. 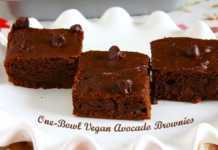 The highlight of this recipe is that it’s vegan, fat-free (excluding walnuts) and I also baked them as brownie cupcakes. 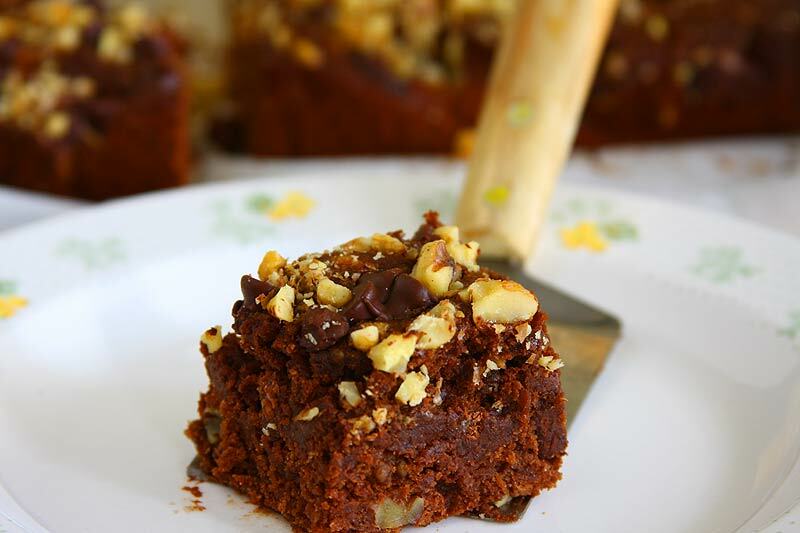 It’s been 10 years since I blogged about that recipe and when I saw this applesauce brownies recipe it reminded me of those vegan brownie cupcakes. 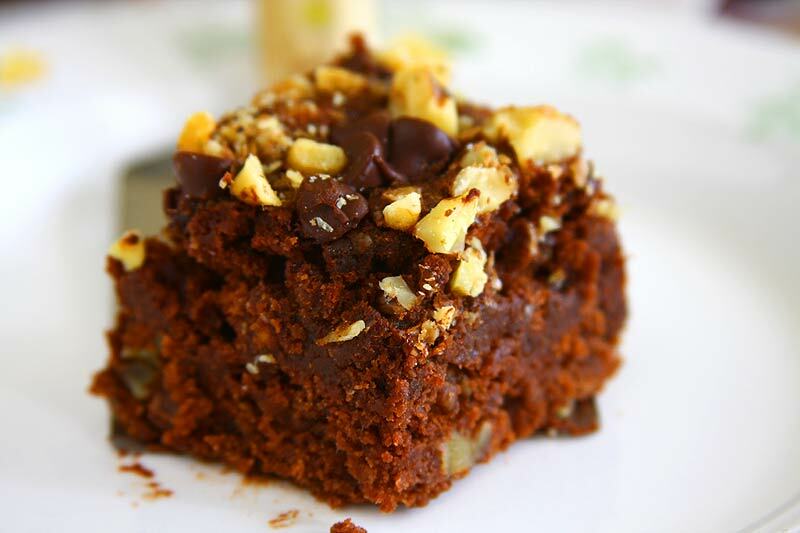 But unlike those healthy applesauce brownies, this new applesauce brownie recipe is not even close to healthy but decadent, moist, fudgy and tasty. 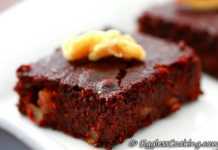 How To Make Applesauce Brownies Without Eggs? 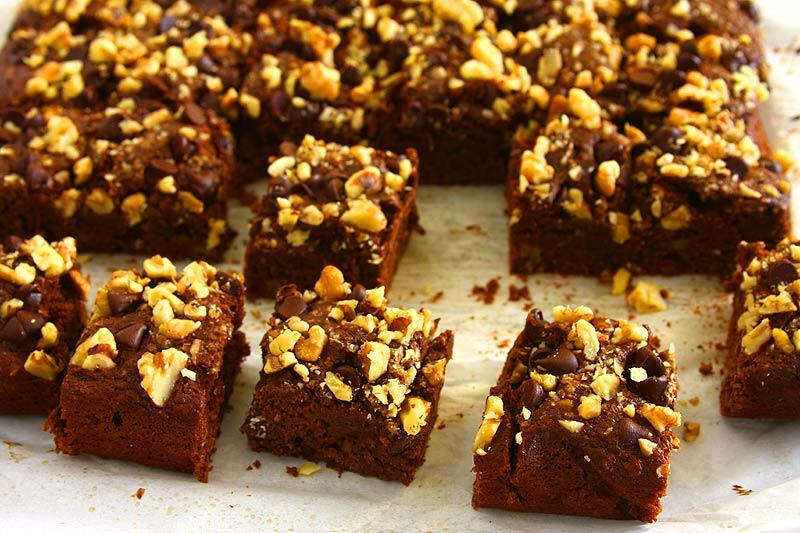 Here are the step-by-step procedure to make egg-free and fudgy applesauce brownies. 2. Add flax eggs and vanilla. 6. 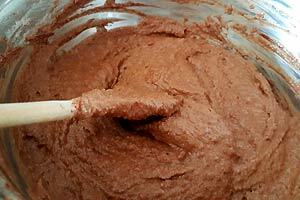 Brownie batter is ready. 7. Stir chocolate chips and walnuts. 8. Spread the batter in pan. 9. 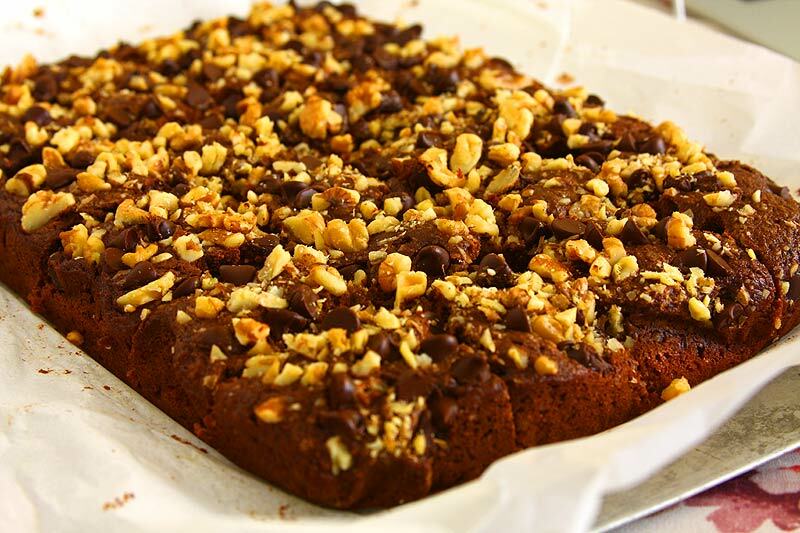 Top with chocolate chips and walnuts. 10. Hot Brownies ready from the oven. Do you have a lot of applesauce at home that the kids don’t want to eat anymore? 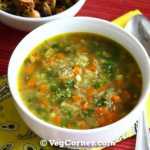 Looking for some recipes to use it up? 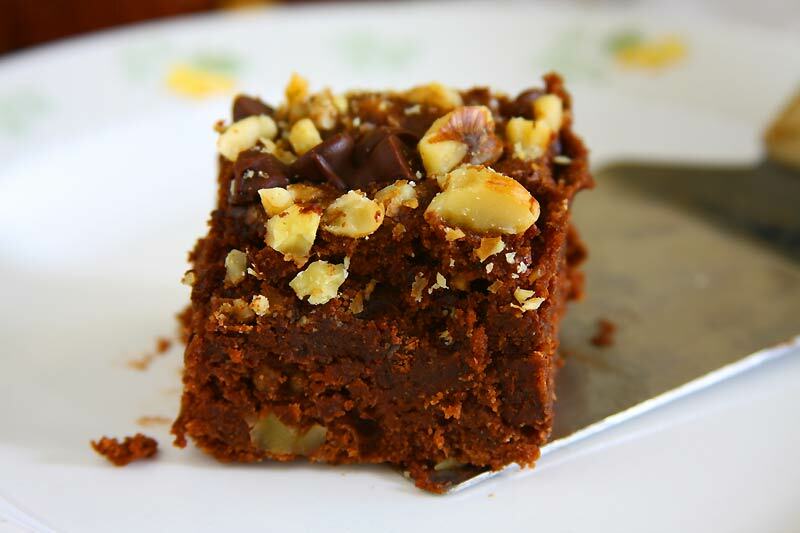 Then these eggless applesauce brownies is a wonderful way to empty the jar. Preheat oven to 350F/180C for 15 minutes. Line a 13×9 inch pan with aluminum foil or parchment paper and leave some hanging on the sides so that it will be easy to lift the brownie off the pan easily. 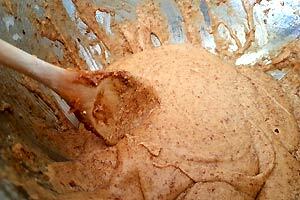 In a small bowl whisk together 2 tablespoons of flaxseed meal and 6 tablespoons of water and set aside. Cream butter and sugar in a large bowl. 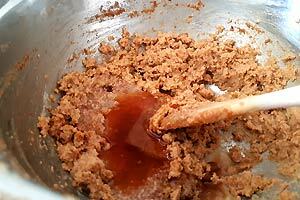 Beat in the flaxseed mixture, applesauce and vanilla extract. You will notice the flaxseed mixture actually foaming just like eggs. 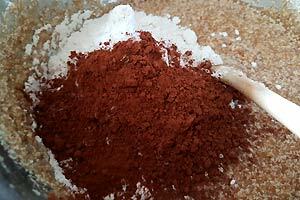 Combine the flour and cocoa, baking soda; gradually add to creamed mixture and mix well. 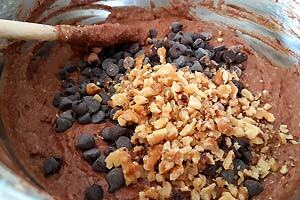 Stir in half cup of chocolate chips and walnuts and mix well. Combine the remaining half cup each of topping ingredients; sprinkle over batter. Bake at 350Â° for 30 minutes or until a toothpick inserted in the center comes out clean. 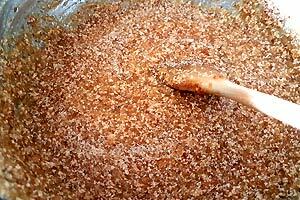 The original recipe used part white sugar and part brown sugar. I ran out of white sugar so used brown sugar entirely, and that made me wonder if that was the reason that the batter did not turn as brown as it usually does in usual brownie recipes after adding the cocoa powder. So I ended up adding 1/4 more cup of unsweetened cocoa powder more than it was specified in that recipe. I don’t think it affected the recipe in any way because these applesauce brownies turned out very good. 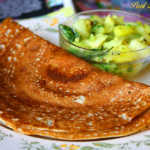 I have used flax-egg instead of the 2 eggs mentioned in the original recipe. So it’s 4 tablespoons of flaxseed meal whisked with 6 tablespoons of water. The original recipe also had mentioned topping the entire quantity of chocolate chips and walnuts on top of the brownie batter. However, I changed it up a bit and mixed half the quantity in the batter and topped the remaining half which made the texture of the brownies ooegy gooey. 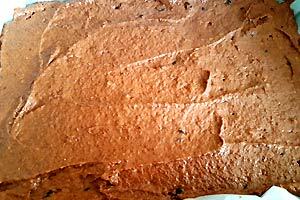 Leftover pumpkin puree or sweet potato puree after Thanksgiving is also a great substitute for the unsweetened applesauce in this brownie recipe. 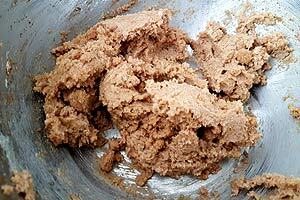 Is there an alternative for flax egg? My kids are allergic to flaxseeds. 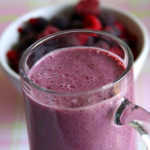 You can try adding another 1/2 cup of applesauce or yogurt. Wow! Thank you very much, Maryann for your lovely feedback. Comments like these motivate me to blog more recipes. I’m so happy that the recipe turned out good for you too.